Pho Saigon prepares provincial cuisine from the Dong Nai region of south Vietnam. All items are prepared using the freshest ingredients, buying local vegetables and herbs when available. 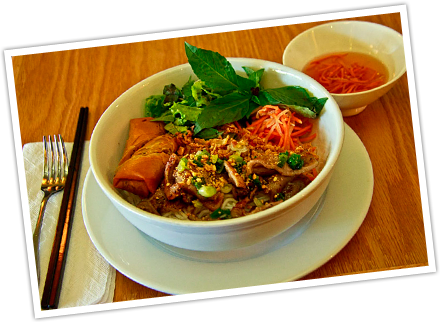 Pho Saigon also buy only quality meats and natural and hormone free poultry. All tofu is organic. Pho Saigon prepares suckling pig and duck upon order for take-out or delivery.